This year's LGBT Week NYC had some incredible presentations based on a wide variety of styles, techniques and disciplines when it comes to marketing to the LGBT community in 2016. Of note this year was the increase in presentations based on LGBT Influencers, YouTube Content Creators and the world of LGBT New Media in general. In the audience were several young influencers, regularly posting during the conference and recording some of the presentations using Facebook Live. There was also more content posted using #LGBTWeekNYC this year than ever before... it seems everyone pretty much gets it. In some way, large or small, we're all a media entity of one if we're posting on Facebook, Instagram, YouTube, Tumblr, Twitter, Vine, Pinterest and more. 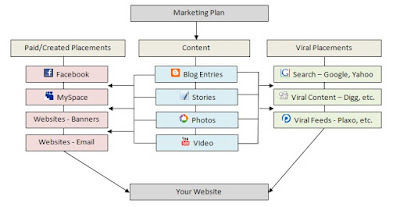 The question is, for a company or brand, how do you decide who to work with amongst the millions of Twitter posts, YouTube videos, Instagram photos, Snapchat posts and Facebook content created and uploaded daily? And once you decide WHO you want to work, WHAT is it that you can actually do? It was these questions and more that were answered at LGBT Week NYC this year, as summarized below. One of our first presenters was Auston Matta of TwoBadTourists.com and Outfluential.com. He and his partner, David Brown, are truly pioneers in LGBT New Media, positioning themselves as bloggers and influencers in the LGBT travel world, and setting a precedent to what is now a "thing" with gay & lesbian couples and friends traveling the world together and writing, posting, photographing and video recording their adventures along the way. Organizations such as the IGLTA (International Gay & Lesbian Travel Association) get it, as do destinations, hotels and other tourism-related businesses making outreach to the LGBT traveler worldwide. 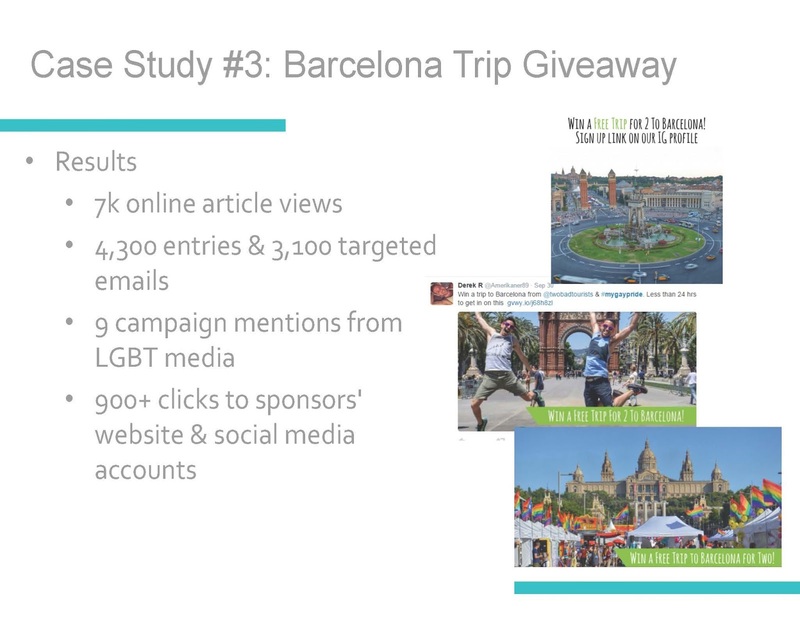 It's LGBT travel that is taking the lead with influencers and content creators, inviting more and more of them along to key LGBT events in their destination, as well as arranging special trips just for LGBT influencers to get the word out about LGBT travel to an entirely new audience via Facebook, Tumblr, Instagram, YouTube and more. 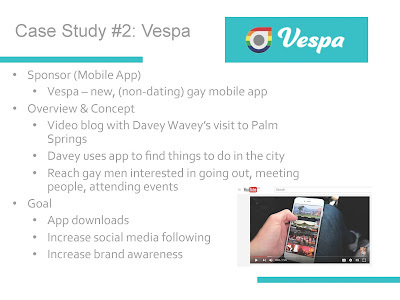 Auston presented a variety of case studies, including one where Vespa, the new gay travel app, teamed up with video blogger Davey Wavey to create a video whereby Davey Wavey used the Vespa app to discover where to go and what to do in gay Palm Springs. 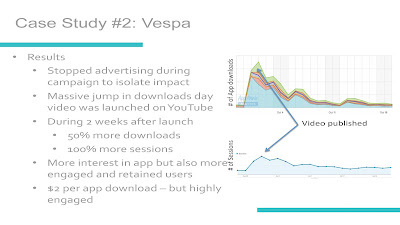 The goal of this campaign was to increase awareness, as well as increase downloads, of the Vespa app. And from the charts presented, it worked wonders and continued to work for more than 2 weeks after the posts were initially created. Auston also presented on a destination giveaway trip, in this case featuring Barcelona. 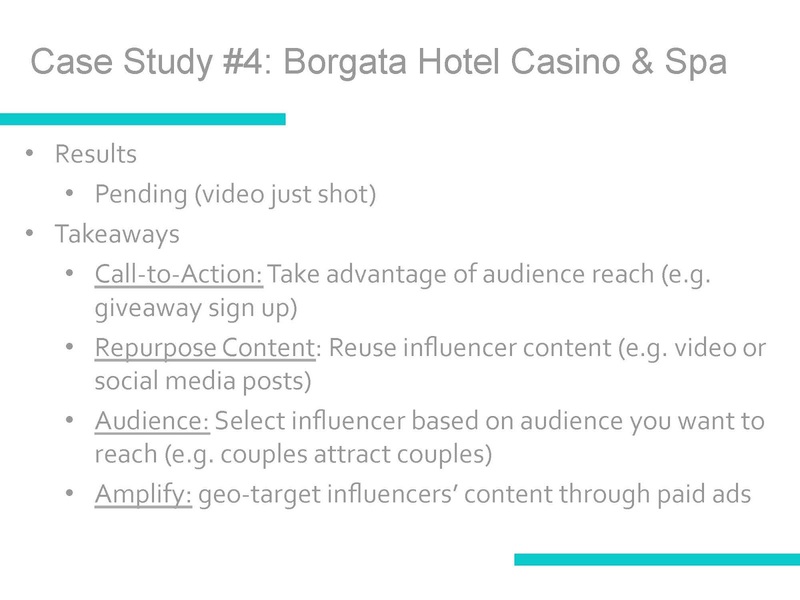 In general, socially optimized giveaways work wonders online and are a great way to get a campaign to go viral, as well as boost e-mail signups and social media likes, fans, shares and comments. 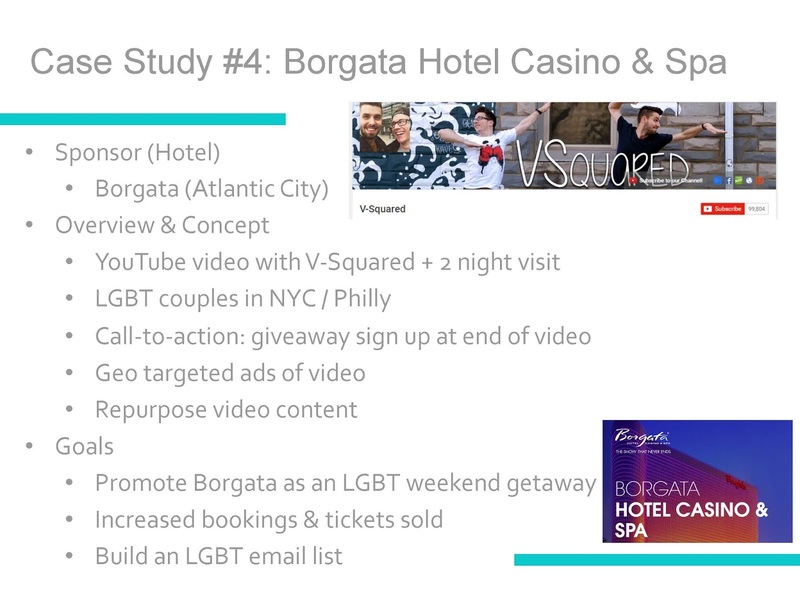 He also presented on the Borgata Hotel's influencer campaign, where they teamed up with the folks at V-Squared to create content focused on LGBT couples in Philadelphia and New York City. 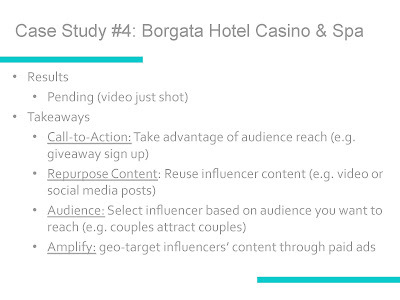 He emphasized the repurposing of influencer content, as well as geo-targeting this content in paid ads. 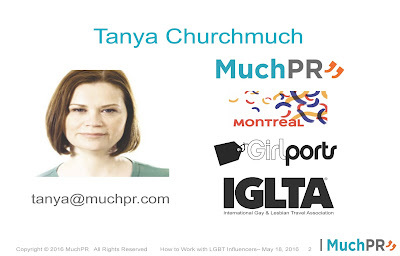 Next up was Tanya Churchmuch of MuchPR. She provided the women's angle on lesbian influencers and YouTube content creators, where they too have developed into a powerhouse of LGBT New Media, with collective millions of loyal lesbian followers of these personalities on Instagram, Facebook, YouTube and more. Not discussed at LGBT Week NYC, but happening just before the event, was the Palm Springs Bureau of Tourism's lesbian "vlogger" campaign tied in with The Dinah. 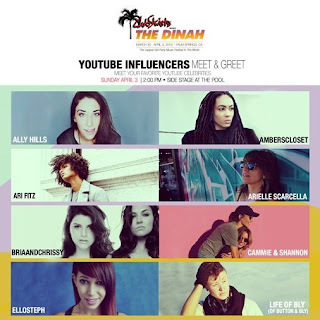 They brought in 8 lesbian YouTube video influencers and set them loose on The Dinah held the 1st week of April 2016. The results were several hundred thousand video views and likes, Instagram and Facebook likes and comments, and Twitter likes and retweets. 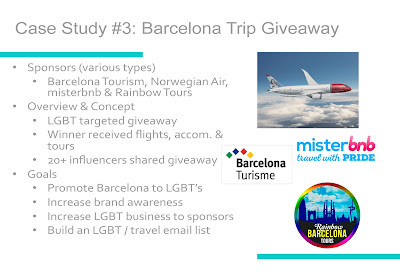 This simply underscores what we said before... the LGBT travel world gets it! Bringing together an influencer group such as this is unprecedented in the LGBT media space, and will only continue to grow and evolve in the years to come. Speaking of YouTube Content Creators and Vloggers, we were excited to have Thai Nam Pham present on how these unique video influencers can help organizations and destinations such as Palm Springs and Vespa reach an entirely new online audience through these influencer's posts and social media channels. Thai introduced us to Two Beeps, Aydian Dowling, RJ Aguiar & Will Shepherd, the Gay Women Channel, Stef Sanjati, John Salamone, Will Jardell & James Wallington and Arielle Scarcella. Thai and his partner, Long Vo, head up a new event coming to Anaheim, California next month, PrideCon. Pride-Con, inspired by the incredibly successful event, VidCon, as well as other "con's" such as Comic-Con developed over the years, seeks to bring together the various worlds of "fandom" in the LGBT community into one major event. Considering the excitement and interest in the LGBT business community in getting to know these video vloggers and influencers, we'll be there, as will thousands of others seeking to get to know this world and these personalities just a bit better. Lastly, we had a presentation by Oriol Pamies of Moovz, discussing micro-targeting via mobile apps and the next generation of online LGBT marketing. 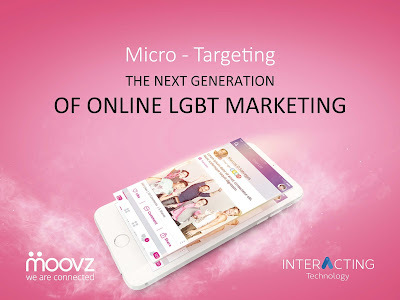 As the gay & lesbian social apps such as Grindr, Scruff, Hornet and Her evolve from purely meeting others in a specific region and develop more into online communities, apps such as Moovz wish to plant their flag in this space early on, creating online communities where individuals can meet, share and develop a space that is just for those interested in topics such as pets, adventure sports or travel. Moovz presented on the business case for companies to tap into and be relevant in these developing mobile online communities.